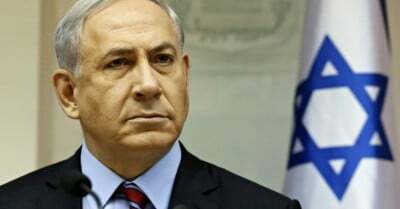 “A controversial bill that officially defines Israel as the nation-state of the Jewish people has been approved by cabinet despite warnings that the move risks undermining the country’s democratic character. Netanyahu’s measure is much worse than that of Mississippi fundamentalists who want to declare Mississippi a principally Christian state and want to celebrate the white-supremacist Confederacy as part of the state’s heritage. “So either way Netanyahu defines Jewishness, it disenfranchises substantial numbers of self-identifying Israeli Jews. If it is a matter of maternal descent, it leaves 300,000 or so out in the cold. If it is a matter of belief and observance, it leaves nearly 2 million Israeli Jews out of the club. Elsewhere I pointed out that Israel is moving in the opposite direction from Morocco, Tunisia and other more successful Middle Eastern states, which have new constitutions affirming citizen equality and freedom of conscience and avoiding specifying Islamic law (sharia) as the main source for law, in the way this new Israeli measure specifies Jewish law (halakha) as the inspiration for Israeli legislation. Netanyahu’s Israel looks more and more like the Muslim Brotherhood Egypt of now-deposed President Muhammad Morsi. “Netanyahu is also moving in the opposite direction from the more positive developments in the Middle East itself. Iraq’s old Baathist Arab nationalism (qawmiya) had racialized Arabness (which is really just a linguistic group) and had excluded the Kurds, who speak an Indo-European language, from full membership in the Iraqi nation. Interestingly, many Arabic-language news items on Netanyahus speech translate his use of “national” by the Arabic qawmiya, which has overtones of extremist nationalism of a racist sort. The new Iraqi constitution rejects that kind of racist nationalism. It recognizes Kurdish as a national official language (and Turkmen and Aramaic as provincial ones). Without denying the Arab or Muslim identity of the majority, it recognizes the right of the minorities to their own ethnic identities within the nation. It doesn’t say that Iraq is only a homeland for the Arab-Shiite majority.